As the processes of globalisation and migration accelerate, more and more diasporic and trans-national communities would come into existence and grow in size and move towards institutional completeness requiring increasing number of related academic studies, says Prof. P.C. Jain in an interview with Vinod Choudhury. VC: Sir, you have been working on the Indian diaspora for last several decades. Your work on diaspora and race relations, Gulf migration, Jains in India and abroad are pioneering in academics. How do you find the diaspora research today? PCJ: Thanks for your compliments. I would not say that my work in academic areas you mentioned is pioneering; definitely not. But, yes I would like to think that I tried to identify and fill in some knowledge gaps in these areas. As far as the diaspora research is concerned, it is increasingly becoming more sophisticated and analytical the world over, though, in India, we do have our limitations in regard to empirical studies, availability of funds and perhaps theoretical rigour. VC: The human mobility has been increasing within and outside the national boundaries. Three percent of Global population is living outside their countries. The phenomenon is increasing despite all legal restrictions in many countries. How do you assess the impact of these massive scale of migration on the political-economic and social domain of the in the national as well as transnational spheres? PCJ: Yes it is a fact that national and international migration is on the increase. Well over 200 million people annually migrate from one country to another in search of economic employment. Internal migration obviously is far greater in volume. Although in most democratic countries internal migration is not much of a problem as it is a matter of individual rights, international migration thus pose quite a number of problems, namely situations of ethnic and/or racial discrimination in employment, promotion and housing. However, most migrant-receiving countries are also keen to address issues emerging from these problems. Inspite of this however, expatriate and migrant communities would continue to face these problems to some extent. Perhaps, that’s what life is all about. VC: You have written articles and books on racial discrimination and political economy of race relation in the context of Indian diaspora. How far these term “race” explaining the diaspora and host country situation in relation to overseas Indians today? Do you find there are any changes since you worked on the issue a decade back? PCJ: Except in South Asia and perhaps in the Persian Gulf countries, overseas Indians in different parts of the world are often conceptualised as a racial group. I found this kind of conceptualisation useful in my studies. I think for the diasporic Indians, the situation continues to remain the same in most parts of the world, be it Africa, Europe or North America. Retaining their cultural identity and integrating with the host society are the twin problems of overseas Indians around the world. VC: Many Non-Resident Indians (NRIs) are well established in Gulf Countries and engaged in variety of entrepreneurial activities. As you know the Gulf countries does not give citizenship. How do you think the citizenship issue will affect the life of the Indian community in Gulf in long run? How do you compare them with the Indian entrepreneurs in USA or European countries? PCJ: Inspite of the Gulf countries not giving citizenship to non-resident Indian entrepreneurs, the latter are doing very well business-wise simply due to the fact that most old-time traders and entrepreneurs are allowed to continue to live there until their death. Even professional and business enterprises are allowed to be passed on to the next generation. Citizenship issue in the Gulf countries affects only employees, not owners of businesses. The Indian partners and/or employees of the Arab-sponsored businesses are subject to revocation of business licenses, if the sponsors wish to do so. VC: In recent years we find diaspora become a huge pressure group that is often influencing the issue of citizenship, foreign policy etc. For example the case of nuclear policy with USA, Sri Lankan Tamils etc. shows the evidence of growing diaspora influence in many areas of state policies. Do you think that diaspora often challenge the autonomy of the state functioning? PCJ: State autonomy especially in the third world context is obviously being challenged and even compromised by the functioning of diasporas as lobbyists and interest groups. The major agencies of Structural Adjustment Programme such as International Monetary Fund and World Bank as well as multi-national corporations also tend to have the similar effects of weakening the autonomy of the third world states. No wonder, social scientists have taken note of the “soft states”, and so also the major theories of development whether Marxist or non-Marxist. VC: You have worked on Jains in India and Abroad and also trade diasporas. These ethnic entrepreneurs have been working since centuries. How do you think the modern day technology, new media (social network etc.) influencing the ethnic network in business? PCJ: Indian ethnic diasporas have been working in Indian Ocean countries of South, South- East and West Asia for centuries. Khojas in East Africa, Parsis in Yemen and Hong Kong, Marakkyars in South East Asia, Gujarati Kallol Baniyas, Kutchi and Thattai Bhatias in the Arabian peninsular countries and Hyderabadi and Shikarpuri Sindhis in Central Asia and other parts of the world are well-known examples of Indian ethnic trade/entrepreneurial diasporas. Jains, mainly a trading community in India are mainly a diaspora of professionals, except perhaps in East Africa. In any case, all these Indian trading communities have developed extensive trading networks globally. Modern technologies have obviously helped them in consolidating their respective businesses and professions through networking. Apart from this, ethnic employment, resource mobilisation, extensive educational, cultural, matrimonial, tourism and pilgrimage networks have also been effected by modern information technologies. A sense of shared identity, “we-feeling”, gemeinshaft—the characteristic features of ethnic communities make the task of trade and social networking far more easy and lasting. VC: In recent years there has been phenomenal work on diaspora and transnationalism. How do you visualize the future of diaspora and transnationalism as an academic subject? PCJ: In my opinion, the future of diaspora and trans-nationalism as an academic discipline is very bright. As the processes of globalisation and migration accelerate, more and more diasporic and trans-national communities would come into existence and grow in size and move towards institutional completeness requiring increasing number of related academic studies. These studies would obviously focus on migration and settlement of immigrants, their economic, political, socio-cultural and ethnic/race relations situations, problems of identity formation and maintenance and socio-cultural integration, their achievements and contributions to the host societies and their multi-faceted linkages with the home lands. Thank you very much for your time and sharing wonderful ideas. Prof. Prakash C. Jain is a Professor at the Centre for West Asian Studies, School of International Studies, Jawaharlal Nehru University, New Delhi. Prof. received his Ph.D. in Sociology from Carleton University, Ottawa. He was a recipient of the Canadian Commonwealth Scholarship for his doctoral work. He is the author of Racial Discrimination against Overseas Indians: A Class Analysis(1990), Indians in South Africa: Political Economy of Race Relations (1999),Population and Society in West Asia: A Demographic Analysis (2001), Non-Resident Indian Entrepreneurs in the United Arab Emirates (2010), he has edited a volume onIndian Diaspora and Transnational Communities (2006), and an anthology entitledIndian Diaspora in West Asia: A Reader (2007). He has also edited/co-edited books on Iran and Saudi Arabia. 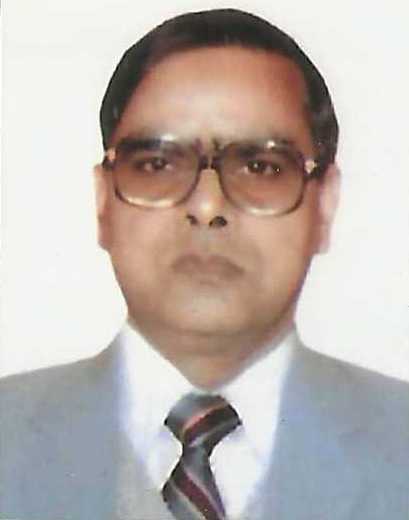 He has contributed a number of articles in reputed journals in India and abroad. Dr. Jain has done fieldwork on Overseas Indians in Canada, Guyana, South Africa and some of the Persian Gulf countries. His forthcoming publications include Jains in India and Abroad, and an edited volume on Indian Trade Diaspora in the Gulf Countries.